I’ll give my “Write Tight(er)” presentation. Twenty-seven others will “talk docs,” too. Intrigued? 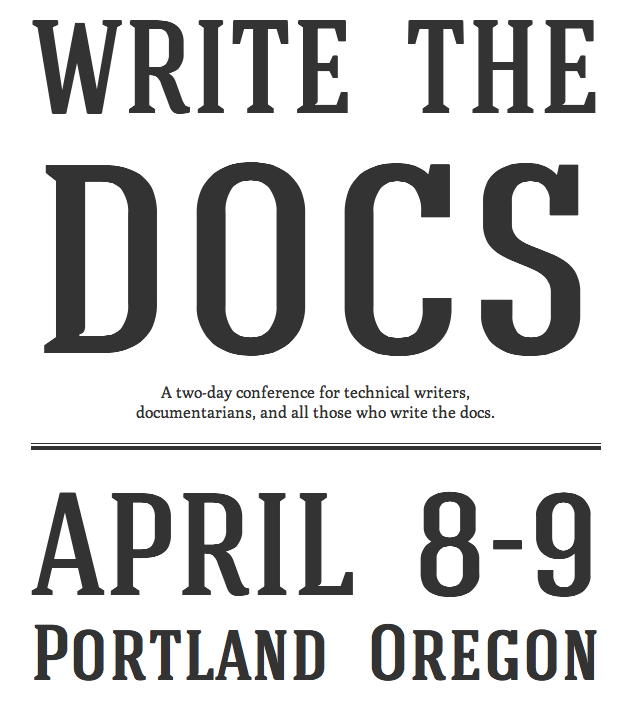 For more on the presenters, their tantalizing topics, and other details, see WriteTheDocs.org. This entry was posted in and tagged Documentation, Writing by Marcia Riefer Johnston.